The nation's three credit agencies are swamped with calls from millions of Americans trying to put a fast freeze on their credit report. An estimated 143 million names, Social Security numbers, birth dates, addresses, and driver's license numbers were all stolen in a security breach of credit rating agency Equifax. "When the experts are saying, 'You should do this now,' it struck panic in me. I don't want people taking auto loans in my name or who knows what," said North Texas consumer Scott Teich. The fear is real. Experts say as angry as you may be, few companies could handle the amount of demand the credit bureaus are getting right now. "Typical web servers can only service a certain number of requests every second. If you have millions of Americans all trying at the same time, you're going to overload the web server," said Randy Haba, an ethical hacker with Frisco's DKB Innovative. Haba dives deep into the hacking world and builds systems to keep the bad hackers out. He says freeze your report when the demand dies down, but in the meantime you can take steps to limit your risk. "Make sure you call the people you do business with, update your security questions, change your answers, put notes on your account to not allow use of social to access my info. Put a special requirement, they must say this info to accept my account," Haba said. 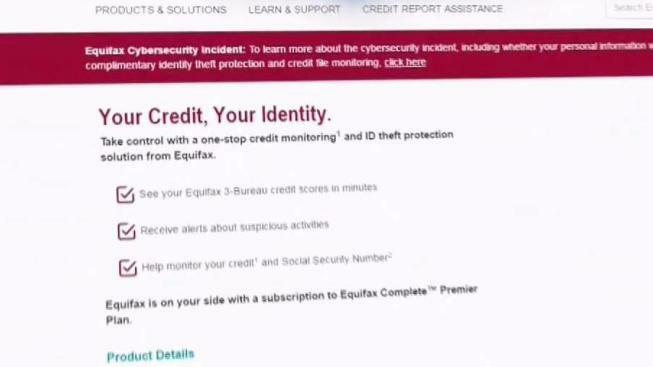 Equifax told NBC DFW they are experiencing a high volume of requests for security freezes and are experiencing technical issues. They said they are working diligently to ensure an improved customer experience.